Today’s plant is one you are more likely to smell before you see it. 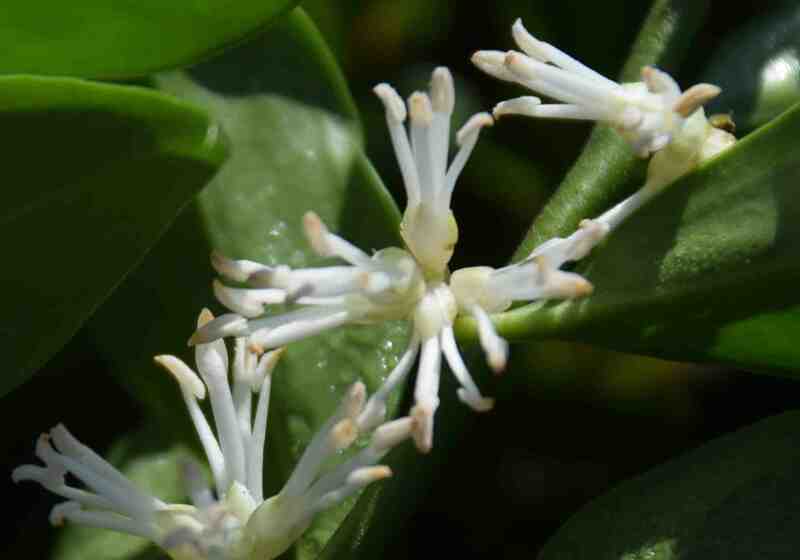 Sarcococca humiilis… .the one day I’m fairly sure, Chloris is there before me! It is a lovely smell and extra special because you often have to hunt to find out where it is coming from. Flowers that you have to stick your nose in are nice but this one really wafts.